"Great page! I have bookmarked it so I can come back everyday and pray". 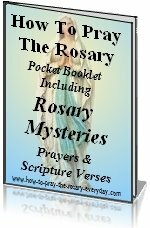 Rosary mystery quick links page was created for you the seasoned prayer warrior who wants to be taken quickly to the mysteries and meditations. It is a convenient way to view the mysteries, their fruits and Scripture verses while you pray. 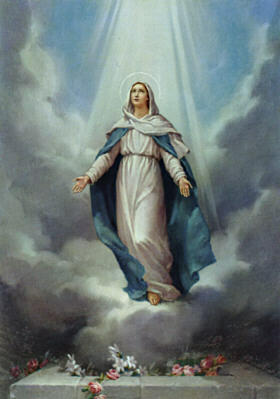 You may also find Rosary media such as audio and video Rosaries helpful while praying, which we have made available to open in a new window by clicking the appropriate link below each mystery title, so you can continue with your prayer while accessing other types of prayer media. Reading the corresponding Scripture verse as you recite the mysteries helps you picture the scene as you meditate. It puts it into perspective, so to speak. Another way to enhance your meditations and to breath new life into them is to meditate upon the fruits of the mysteries. This way you can see how praying each mystery should begin to bear the "fruit" of a particular virtue within your interior life. For your convenience we have added a new feature to help you keep track of your prayers as you meditate upon the mysteries. As you pray each prayer, click the radio button and it will keep track for you. Be sure to bookmark or add this Rosary Quick Links page to your favorites! 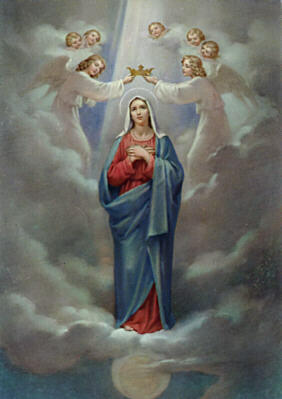 "And when the angel had come to her, He said, Hail, full of grace, the Lord is with thee. Blessed art thou among women." 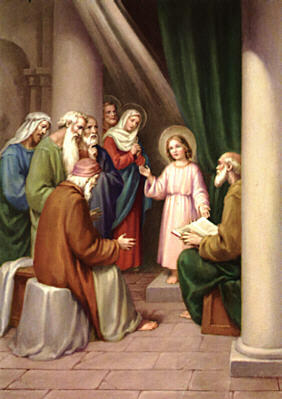 "When the day came to purify them according to the law of Moses, the couple brought him up to Jerusalem so that He could be presented to the Lord "Every first-born male shall be consecrated to the Lord." 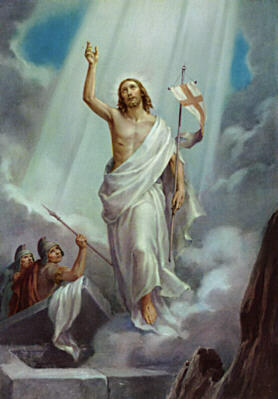 "And when Jesus was baptized...the heavens were opened and He saw the Spirit of God descending like a dove, and alighting on Him, and lo, a voice from the heaven, saying, "This is My beloved son, with whom I am well pleased." "His mother said to the servants, "Do whatever He tells you." Jesus said to them, "Fill the jars with water." And they filled them up to the brim." "...and preach as you go, saying, "The kingdom of heaven is at hand." 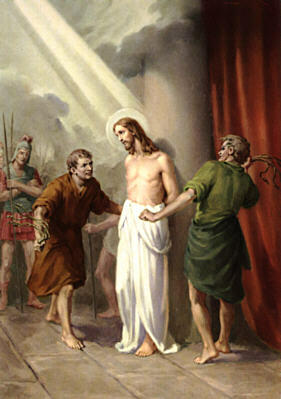 Heal the sick, raise the dead, cleanse lepers, cast out demons. You received without pay, give with out pay." "And he was praying, the appearance of his raiment become dazzling white. And a voice came out of the cloud saying, "This is My Son, My chosen; listen to him!" "He took bread, and when He had given thanks He broke it and gave it to them, saying, "This is My body which is given for you" and likewise the cup after supper, saying, "This cup which is poured out for you is the new covenant in My blood." "And there appeared to him an angel from heaven, strengthening him. And being in an agony, he prayed the longer. And his sweat became as drops of blood, trickling down upon the ground." 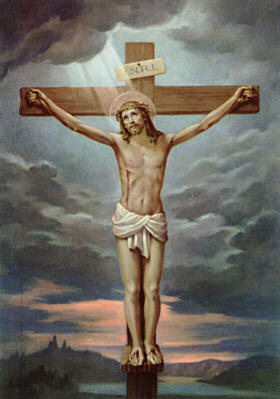 "And so Pilate being willing to satisfy the people, released to them Barabbas, and delivered up Jesus, when he had scourged him, to be crucified." "And stripping him, they put a scarlet cloak about him. 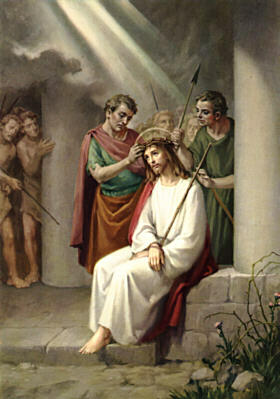 And platting a crown of thorns, they put it upon his head, and a reed in his right hand..."
"And bearing his own cross, he went forth to that place which is called Calvary, but in Hebrew Golgotha." 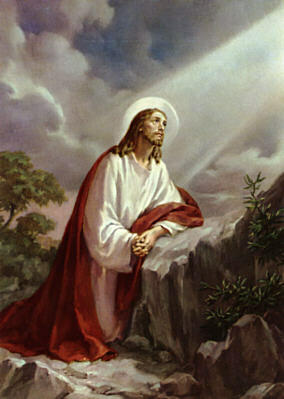 "Jesus knowing that all things were now accomplished, that the scripture might be fulfilled, said: I thirst. Jesus therefore, when he had taken the vinegar, said: It is consummated. And bowing his head, he gave up the ghost." "You need not be amazed! 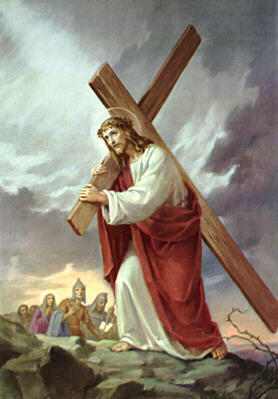 You are looking for Jesus of Nazareth, the one who was crucified. 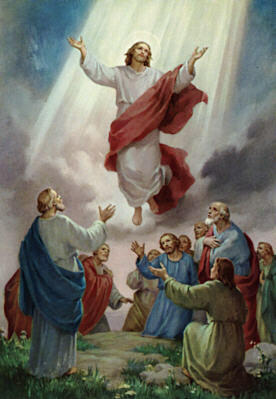 He has been raised up; he is not here. See the place where they laid him." 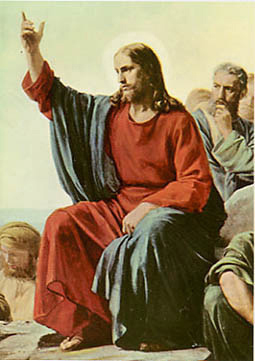 "Then, after speaking to them, the Lord Jesus was taken up into Heaven and took his seat at God's right hand." 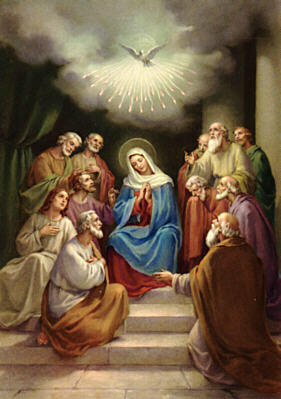 "All were filled with the Holy Spirit. They began to express themselves in foreign tongues and make bold proclamation as the Spirit prompted them." "You are the glory of Jerusalem...you are the splendid boast of our people...God is pleased with what you have wrought. May you be blessed by the Lord Almighty forever and ever." Not only does our Rosary Mystery quick links page enable you to get to praying the Rosary quickly without all the verbiage, it aids you in meditating on the life of Jesus without too many distractions. 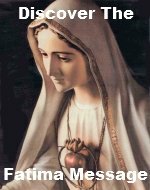 Don't forget to check out our numerous Rosary meditations from time to time. These meditations will help you develop a deeper understanding and appreciation for the Rosary mysteries. Another thing you may find handy is our free booklet downloads.